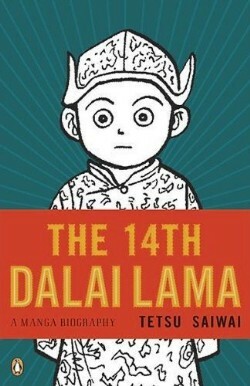 This entry was posted in manga, reviews and tagged 14th Dalai Lama: A Manga Biography, Buddhism, China, Jason Thompson, Penguin Paperback, Tetsu Saiwai, Tibet. Bookmark the permalink. I also liked reading it because I knew pretty much nothing about Tibet. Oh the coincidence! I personally thought his childhood would have been a little boring, but from what I could tell he wasn’t separated from his family or other children that much. It seemed like his family could visit and he took lessons with other children studying to be monks. Plus it was clear Saiwai wanted to focus on the human rights issues involved. Plus I think it would have ruined the mood of the main focus to paint this tragic (and possibly untrue) picture of a kid totally shut off from the world because of his status. I was particularly thinking of the point where he’s sad because he misses his mom, or just before that when he’s sitting on the throne and asking where is mother and father are. But you’re right, there may not have been enough that happened then to lend to an interesting story.